Well, this is very different and pretty damn cool. Nintendo just announced that the people behind the excellent musical dungeon-crawling game Crypt of the NecroDancer are making a Zelda game called Cadence of Hyrule. It’s out this autumn. The game appears to bring Cadence, the protagonist from Brace Yourself Games’ hit indie, to Link’s world. A trailer shows Link and Zelda fighting enemies throughout a game world that seems inspired by the Super Nintendo game The Legend of Zelda: A Link to the Past. Crypt of the NecroDancer came out for PC in 2015 and was eventually ported to numerous devices, including the Nintendo Switch in 2018. In it, players move a character through a dungeon, one grid square at a time, as enemies also move each turn based on their own rules. The magic of the game is its music, as playing effectively requires you to make your moves in accordance with the rhythm. This will be the first of two Zelda games slated for Switch this year, the other being the recently announced remake of Game Boy classic The Legend Of Zelda: Link’s Awakening. Surprising as it is to see Nintendo offering two Zelda games in one year, it’s an even bigger shock to see Nintendo let an indie studio work with one of its biggest franchises. Sure, we’ve seen Capcom make Zelda games and Sega make an F-Zero entry (that actually happened, right? 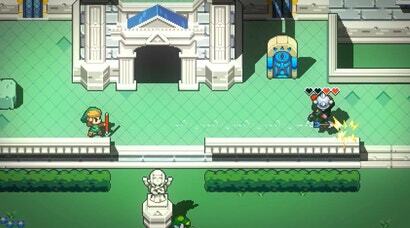 ), but a Vancouver team that made a Steam indie hit getting to make something Zelda-related—that’s something else. Fun fact: The official name of the game is Cadence of Hyrule: Crypt of the NecroDancer feat. The Legend of Zelda. It’s an even bigger shock to see Nintendo let an indie studio work with one of its biggest franchises. This was probably my biggest shock too. "it’s an even bigger shock to see Nintendo let an indie studio work with one of its biggest franchises." I don't think it's all that different to letting Omega Force make Hyrule Warriors. Speaking of, the excitement I felt watching this announcement was similar to that when Hyrule Warriors was announced, and that turned out to be a game I have spent more time on than just about anything. I'd be over 400 hours now between the WiiU, 3DS and Switch versions, the latter of which I've finally unlocked all the weapons and have moved onto a Gold Skultulla hunt. 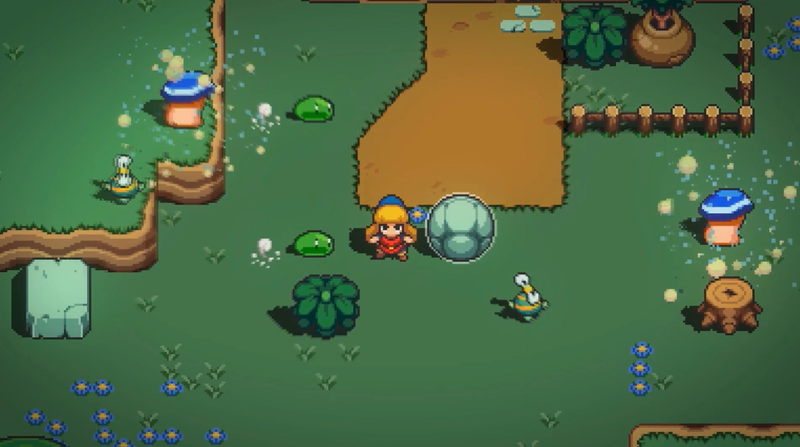 I doubt Cadence of Hyrule will keep me playing the way Hyrule Warriors has, but it has still become something I didn't realise I needed but definitely need. Cadence of Hyrule coming to Nintendo Switch are you kidding me Nintendo? You're actually bringing Link and Zelda from The Legend of Zelda: A Link to the Past all way here by working with indie developer Spike Chunsoft to bring us this game. You know what Nintendo count me in I'm definitely interested in playing Cadence of Hyrule to the Nintendo Switch. It smacks of try-hard, DeviantArt Westerner-draws-in-anime style stank. Definitely don't wanna see anything like that biz in a Hyrule Historia update. Oh wow, peeps! Isn't a man allowed to voice his artistic preferences? If your Western, draw Western: Why appropriate another culture's distinct style? By all means, take inspiration (Joe Madureira, Adam Hughes), but there's a reason you never see mainstream Marvel and DC books done by artists that ape manga style straight up. Anyway, why /not/ appropriate the style if you are making a homage? Besides, I don't think that the intention was to "appropriate" but rather to find a compromise of styles with Cadence's own character design. I personally really prefer "westernised not-quite-anime Link" than flat out "Western" Link, whatever that could be. 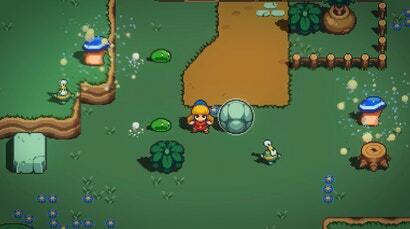 Anyway, the character design in the actual game looks alright, kind of reminiscent of Minish Cap. My main problem isn't so much that it's appropriated as much as it is appropriated poorly. Zelda hasn't got a forehead. Anime characters still have skeletons underneath all of that glam. Like I said, it's just a personal preference! But I would definitely say I'm on the "strongly dislike" end of the scale for the character art for the game. The sprite work is great, however! Stunning even! The package just looks really amateurish (to me). And here we are again! Kotaku moderation! Because some NPCs who don't even put themselves out there with actual comments are still comfortable enough to push an arrow pointing down. Such power at your introverted fingertips! "wah wah wah! people disagreed with me!!" Here, have a downvote for 'NPC'. Hope losing some more imaginary internet points isn't too traumatic for you. You emit a foul and unpleasant odour. Crypt of the Necrodancer... it never seemed like my kind of game, but chuck in some Zelda characters and a nice pixel art style and suddenly I'm super interested.